This juicy, fresh-as-summer cocktail will put smiles on everyone's faces. Serve it as is to party guests. 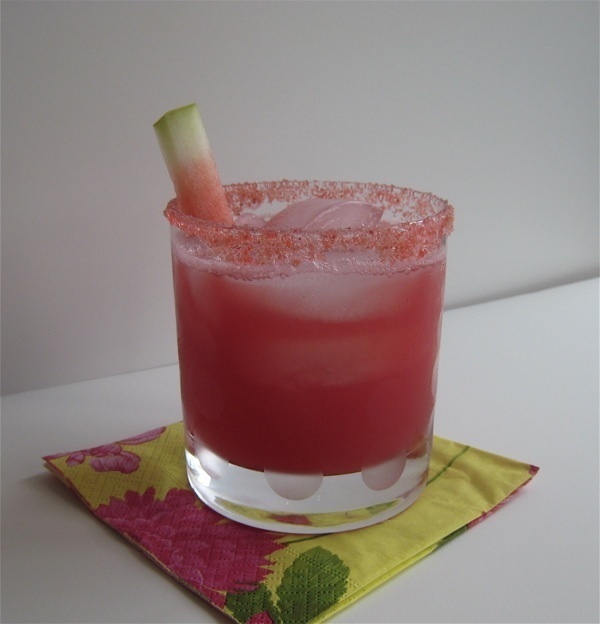 For kids and designated drivers, the watermelon juice, with or without a squeeze of lemon, is great straight up or mixed with seltzer. *To help you with portions: We bought a watermelon wedge that weighed about 2 1/2 pounds. That yielded about 4 cups of chunks. Puree those in the food processor (if you're not using a seedless melon, please remove the seeds first! ), strain the mixture through a fine sieve, and you get about 1 1/2 cups of juice—enough for six cocktails. Combine ingredients in a shaker with ice and shake 10 to 15 times to chill. Pour, with ice, into a glass rimmed with a mixture of half sugar, half salt.